Did you know you don’t need a wand to cast a spell? Think about the magical powers of music! Even without pictures, music can paint colorful stories in our minds, make us feel different emotions, and transport us to a different time and place. 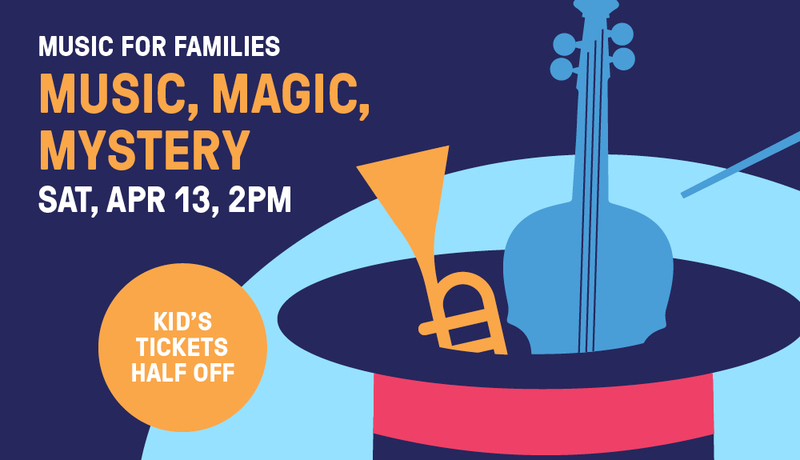 Join us for a concert that is all about magic and myths--you’ll hear the music of Harry Potter as well as the thrilling Russian tale of The Firebird. PS: See if you can find the mystery instruments throughout the concert! Come early and collect stamps in your musical passport, and enjoy lobby activities such as the instrument petting zoo, coloring stations, and our conductor photo station. Ticket holders receive free online materials to enhance musical discovery at home.